The Missouri Capitol in Jefferson City. The state of Missouri collected $435 million in corporate income tax revenue in fiscal year 2015. That plummeted to $280 million last year. Listen to St. Louis Public Radio reporter Maria Altman's story here. “We lost $150 million last year in corporate revenue,” Greitens said. “That’s money the government takes in when businesses pay taxes, and that’s because not enough people have quality jobs with great paychecks and businesses are struggling." Listen here to Gov. Eric Greitens' budget address. Despite the new Republican governor’s bleak view of the economy, the state’s own numbers showed a far different picture. At the end of January unemployment was just above four percent, and sales and income tax revenues were both up three percent over the prior year. So why the big drop in corporate income tax revenue? Amy Blouin, the executive director of the Missouri Budget Project, said the decline is self-inflicted. “The issue is the legislature made changes to tax policy that actually reduced corporate taxes and reduced them significantly,” Blouin said. The non-profit group points to Senate Bill 19, which passed in 2015. It changed how multi-state corporations have to allocate their profits among states, allowing them to reduce their tax liability in Missouri. The state’s Acting Budget Director Dan Haug also pointed to the corporate tax law change during an interview with St. Louis Public Radio back in December. Haug, who did not respond to recent calls for comment, said the slide in corporate income tax revenue was due to that change, not the economy. That decline in the state’s corporate tax revenue has continued. Tallies from the Missouri Budget & Planning Office show that at the end of March, corporate income tax revenue was down nearly 26 percent for the fiscal year compared to this time last year. But the sponsor of the legislation, Sen. Will Kraus (R--Lee's Summit), is adamant that the change to multi-state corporate tax law in Missouri is not responsible for the revenue decline, at least not all of it. "There's been an overall drop in corporate revenue and everyone wants to point to Senate Bill 19 and that’s just not the case; it’s not true," Kraus said. 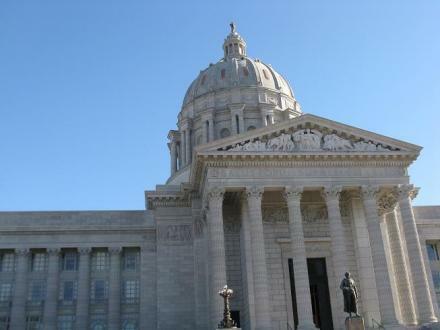 The state senator said the Missouri Department of Revenue has assessed that the cost of SB 19 is $24 million so far for this fiscal year. (The state has gotten $84 million less in corporate income tax revenue so far this fiscal year compared to Fiscal Year 2016.) The department confirmed that number, but a spokesman said there had been no review of the impact on Fiscal Year 2016. Kraus said the phase-out of Missouri's corporate franchise tax, plus the use of state tax credits, are likely also responsible for the decline last year. Yet the four-year phase-out of the franchise tax began in 2012 and was finished by the beginning of 2016. The fiscal note attached to the bill eliminating that tax estimated a roughly $17 million loss in fiscal year 2016 over the prior year. Meanwhile the Senate's own Red Book shows the impact of tax credits on corporate and franchise taxes was $74 million in Fiscal Year 2016, as opposed to $80 million the year before, meaning the impact should have been negligible from one year to the next. 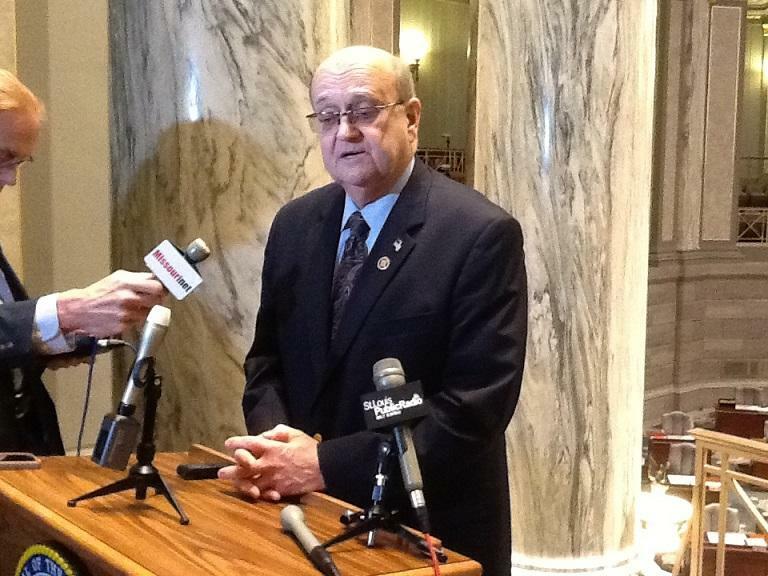 Rep. T.J. Berry, a Republican from Kearney, is keenly aware of the state’s budget woes. Berry said the change in corporate tax law, which he voted in a favor of in 2015, was expected to cost the state $15 million annually. That fiscal note was put together by then Gov. Jay Nixon’s Office of Administration. The Democratic governor also signed the bill. “I believe that our budget problems of this year, to a certain extent, are linked to misjudging that bill,” Berry said. The Republican was quick to point out that the state’s Medicaid costs were also higher-than-anticipated. But Berry decided to see if there was something that could be done to reverse the corporate income tax revenue situation. He checked with legislative aides about whether the General Assembly could simply rescind the law. Berry was told that reversing the law would amount to a tax increase, triggering the Hancock Amendment, which would then require voter approval. Asked what the state can do now to deal with the revenue losses, Berry said the state needs to grow its economy and population. That’s easier said than done, according to St. Louis University Economics Professor Muhammad Islam. Islam was referring to income tax cuts in Kansas made back in 2012 that have resulted in massive budget shortfalls in that state, including a $290 million shortfall this year. As tough as Missouri’s state budget has been this year, Amy Blouin with the Missouri Budget Project says next year will likely be worse. That’s as a lower tax rate for the individual income tax goes into effect, stepping it down from 6 percent to 5.5 percent over five years. It also phases in a new 25 percent business income tax deduction for certain groups of businesses, such as limited liability companies. “That’s the provision that has really wreaked havoc in Kansas with their budget struggles over there and it’s something we think is likely to cost a whole heck of a lot more than they estimated,” Blouin said. Those changes were passed by Missouri lawmakers back in 2014 in Senate Bill 509, sponsored by Sen. Kraus. Gov. Nixon vetoed the bill, which Republicans were able to override. The bill included a “trigger” provision that requires state revenue to grow by at least $150 million before the phase-in of cuts could begin. Now they’re expected to be implemented in Fiscal Year 2018. It’s expected to cost at least $620 million annually when it’s fully implemented after five years. Rep. Berry said he doesn’t view those tax changes as cuts, since they first required revenue to increase. “The idea is as revenue grows, shouldn’t the people receive part of that money back, rather than always continuing growing government and it getting bigger and bigger and bigger?” he asked. Blouin counters that Missouri has been steadily cutting taxes for 20 years. She said when taken altogether those cuts add up to $1 billion annually. 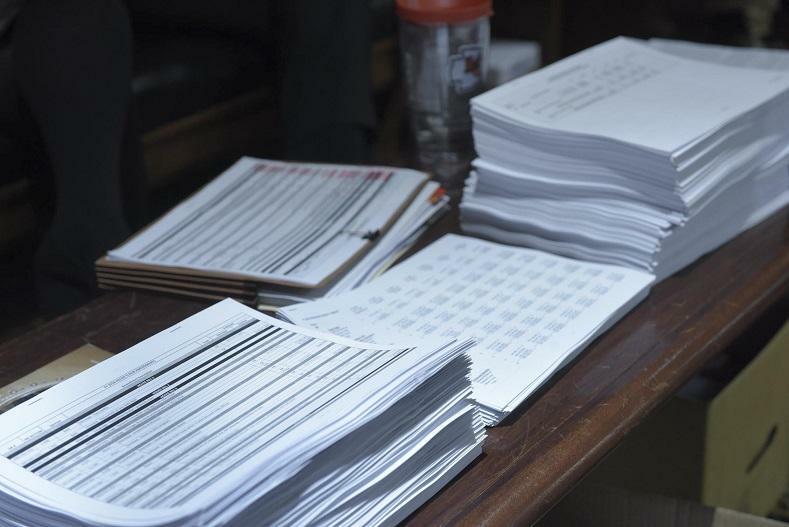 The General Assembly has until May 5 to pass this year’s state budget, although there is a possibility lawmakers may miss that deadline. Updated 4:30 p.m. with specific date by which federal crime victims money must be used — Missouri legislators have three weeks left to get the state’s $27.8 billion budget for the next fiscal year across the finish line, and aren’t moving as quickly as they did in 2016.